Since its inception, inbound marketing has gone from strength to strength. Today, 74% of marketers globally use inbound marketing as their primary strategy to generate leads and convert leads into customers (HubSpot, 2018). In this post, we’ll dive into last year’s challenges and key learnings. 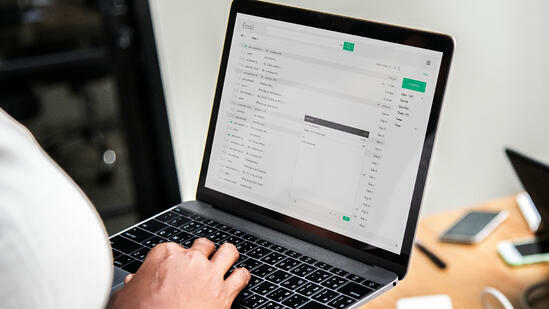 Then we’ll take a look at what B2B tech companies should focus on this year in order to generate qualitative leads and convert those leads into customers. What did we learn about inbound marketing in 2018? 2018 proved to be another exciting year for inbound marketers. Before we look at the learnings, let’s uncover the challenges marketers were faced with. Operating in the digital space, inbound marketing is always subject to change, and with change often comes new challenges. The State of Inbound is HubSpot’s comprehensive annual report consisting of 6200 respondents in 99 countries. This report provides us with the benchmarks and insights to help us better understand inbound marketing and where both issues and opportunities lie. 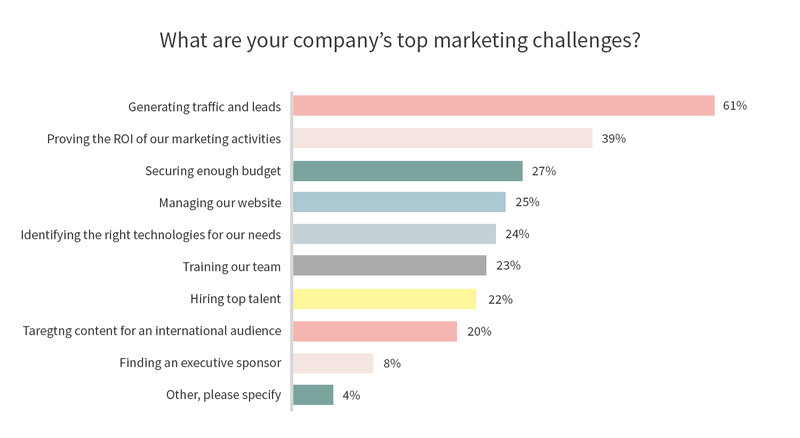 Below is a summary of the biggest challenges last year, according to HubSpot’s report. Generating traffic and leads overwhelmingly proved to be the toughest marketing challenge, resulting in a staggering 61 percent of the respondents quoting this as one of their top challenges. This was followed by proving the ROI of marketing activities at 39 percent. If the ultimate goal of inbound marketing is to drive traffic and generate leads, then why is it considered to be the biggest challenge? Let’s take a closer look at the two main challenges and what you can do to tackle them. First of all, let’s not forget that our playing field is the internet, a space full of distractions. And as a result of the popularity of inbound marketing, there’s a lot of content out there competing for attention. A 2015 study by Microsoft revealed that our digital attention span had dropped from 12 seconds in 2002 to a mere 8 seconds in 2013. But before you think your next piece of content has to be as compelling as the most recent Ted Talk in order to drive traffic to your landing page, realize this: humans are naturally a cognitively distracted species (Princeton Neuroscience Institute, PNI, 2018). Meaning, we’re just not that great at focusing in the first place as our inability to focus is a direct result of evolution. So how do you compete against an evolutionary trait? Well, it’s simple. Your prospect has problem X. You make the prospect aware of problem X. You offer a solution to problem X.
Let’s put the above into context. Imagine that you are a cloud service provider. PROBLEM: Data sits in archaic offline systems and is hard to access (if you know where to find it). AWARENESS: You publish an eBook on digital transformation and how the cloud optimizes company operations. SOLUTION: You help the prospect migrate to the cloud without lifting a finger. For each marketing activity you do, each campaign, each piece of content - The problem and solution have to be the underlying components. Without that fundamental understanding, there’s simply no reason for a prospect to engage with your business, and as a result – you won’t get their attention. What problem(s) is this trying to solve? Because regardless of how you choose to generate traffic, SEO, blogging, paid media and so on, you need to determine the root cause of the lack of traffic first. If you don’t do this, all your marketing activities will be in vain. With this as the backbone of your content development strategy, along with a well-defined target audience and effective channels, your traffic is likely to increase as well as contain more relevant visitors. While 75 percent of the respondents in HubSpot’s survey felt that their inbound marketing strategy was effective, they still stated that proving the ROI of that strategy was a big challenge. What do your existing KPIs look like? 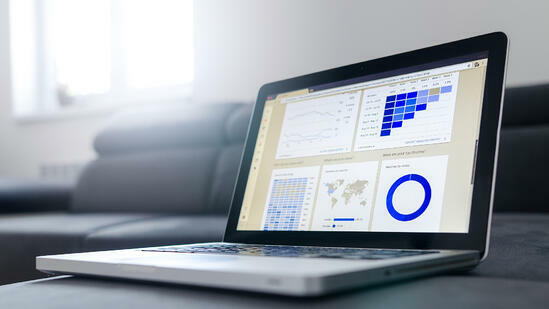 Understanding and proving the ROI of your marketing activities starts with a solid understanding of current metrics and company goals. If you don’t know your baseline, you can’t point to how effective different tactics are. Next, you need to set realistic goals based on existing metrics. These have to be clearly defined and aligned against your company’s financial targets. The world of inbound marketing saw plenty of action in 2018. Below, we’ve listed three key learnings for B2B tech companies. The old “rules” state that, if you’re a consumer brand, you advertise on Facebook, and if you’re B2B, you advertise on LinkedIn. But that’s not quite how it works. Just because businesses might operate 9-5 doesn’t mean their employees do. Professionals spend just as much time on Facebook as anyone else. That’s why last year many B2B companies started to use Facebook Ads to generate, nurture and close more and better leads. The use of marketing automation platforms such as HubSpot and SharpSpring puts all your inbound marketing activities in one place. This makes it possible to monitor and track all your activities, from entering lead data to discovering if your content works. It’s a tool that integrates and amplifies all your inbound efforts. Already in 2015, while being a fairly new practic, B2B companies started realizing the power of automation with 80% of companies increasing leads and 77% increasing conversions. In addition, when you have functioning automation practices in place, you’ll benefit from transparency, better customer engagement, and less cost. With more companies investing in content, channels become more crowded and new channels emerge. Between blogs, eBooks, guides, keywords and social publishing, there’s tons of strategies on how to best drive inbound traffic. On top of that, SEO is always changing and paid advertising becomes increasingly layered, so being an inbound marketer is no easy task. It can be tricky to operate in an ever-evolving environment, but in the midst of emerging trends and the pressure to always create attention-grabbing content, remember to focus. Your inbound marketing strategy needs to be aligned with your company goals, and you can’t lose sight of these during the process. The new year marks a fresh start for most companies. With the learnings from last year’s marketing efforts driving the way forward, we have listed five key activities B2B tech companies should focus on this year. Each activity has action items and recommendations to make sure that your 2019 is off to a great start. First, however, let’s take a look at what the State of Inbound survey respondents regarded as their top priorities. Driving and growing traffic to your website begins with great content. There’s no magic to producing great content – it requires hard work. In a study from Databox 71% of marketers said that creating new content is their most important tactic for growing their organic traffic. Produce content that addresses their paint points and fix their problems. Use a combination of keywords and paid advertising to make it easy for them to find your content. Remember what we said earlier in this post, you need to tackle the root cause behind your low traffic first – then you tackle content. Converting leads to customers isn’t a responsibility that falls on inbound marketing. The job of inbound marketing is to bring in leads. Next, it’s marketing’s job to qualify those leads. A marketing qualified lead (MQL) is a lead that your marketing team deems qualified enough to hand off to sales. Bringing in relevant leads and the process of qualifying these is an important job. It’s what will predominantly determine the success of your sales team. So as inbound marketers, it’s our responsibility to have a structured lead scoring process in place that will help us effectively qualify leads before we hand them off to sales. Increasing revenue from existing customers comes down to upselling and cross-selling. First of all, let’s look at the definition of the two terms. Upselling is when you persuade a customer to buy a more expensive version of what they already have. Cross selling invites customers to buy complementary and/or related services. But before you attempt any of the above, you need to categorize the health of your existing customer relationships. Some might already be ready to buy, while some in fact might be ready to leave you. Segment your customers by quality. Establish which customers you can target for upsell or cross-sell opportunities. Define inbound marketing activities that support those opportunities. If you have determined that either an upsell or cross-sell offer makes sense, it’s time to think about how you can demonstrate the value of those offers. This is when you use content such as customer case studies and testimonials. 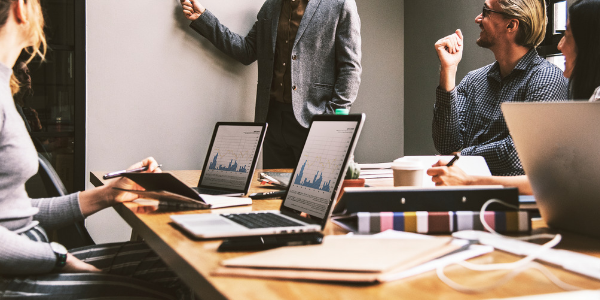 Account based marketing (ABM) and programmatic advertising have proven to be very effective tactics for B2B tech companies. Reports confirm that 60% of B2B companies have experienced a 10% increase in revenue, while 19% saw a staggering 30% revenue growth. ABM focuses on a clearly defined set of accounts using highly tailored messages that are delivered using IP-targeted ads. It guarantees that you reach decision makers at the right companies and be confident that your results are cost-effective. Programmatic advertising simply means that, while the process of planning and optimization is still done by humans, the actual buying process is handled by software. It allows us to use advanced targeting capabilities that lets us advertise smarter instead of just buying lots of banners. This year, programmatic advertising is set to grow by 19 percent as more and more companies are discovering its effectiveness. Like we mentioned earlier in this post, proving the ROI of marketing activities has always been a challenge. But not just because building attribution models is a tough task, but also because it simply hasn’t been a priority. Focus often falls on content production and implementing activities, rather than setting the team up for long term success. How many leads you need to generate? 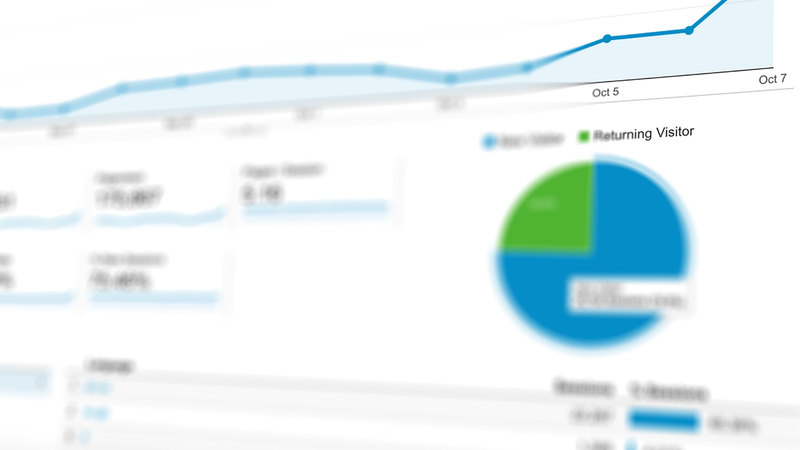 How much traffic you need to drive to your website? What does your conversion rates need to be to meet your goals? The answers to the above questions should be tied directly to the company’s overall goals. Inbound marketers are undoubtedly set up for another interesting year. After reading this post we hope you’ll have a better understanding of the current state of inbound and the challenges marketers are dealing with. Remember that word-of-mouth remains the biggest purchase influencer (55%) and a customer-first mentality will get you much farther than any short-term marketing gimmick. But most of all, make sure that your inbound plan is and remains aligned with your overall goals and that you never lose sight of those. Want to find out what happens when you apply inbound marketing strategies? Pick a case study to learn more about the methodology, content and results. Does your inbound marketing strategy need a boost? Do you want to get started with inbound marketing? Or perhaps your existing strategy needs a boost? Book a meeting with Sofia, Head of Digital, to talk more about how we can help.